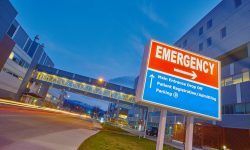 Here are the top eight health hazards that non-medical bystanders can help mitigate until first responders arrive on scene of a medical emergency. It takes first responders an average of 8-10 minutes to arrive on scene at a medical emergency. The “bystander effect”. It’s a term many are familiar with, especially those who work in the medical field. According to Psychology Today, the bystander effect can be described as the presence of others discouraging individuals from helping in an emergency situation. Many either freeze in fear or assume the person standing next to them will intervene instead. If nothing is done to help someone in a medical emergency and there are multiple people around to witness it, blame can’t be placed on a single individual. This is referred to as “diffusion of responsibility” by social psychologists Bibb Latané and John Darley who mainstreamed the bystander effect concept in the ’60s. 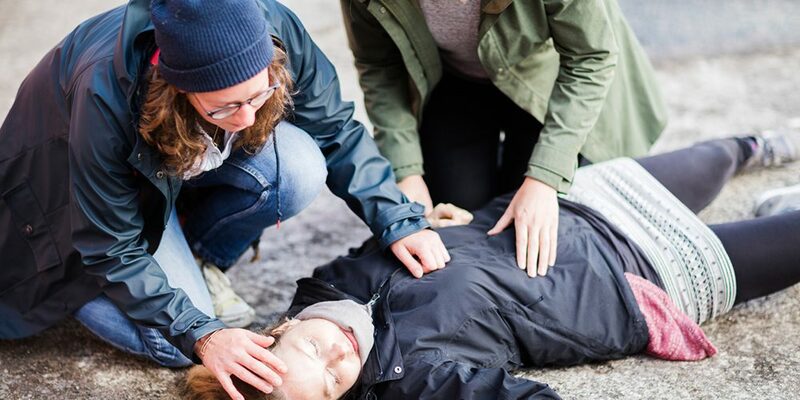 Several security and medical professionals developed a global bystander training program after learning that a shocking number of deaths and harm can be prevented or mitigated by non-medical bystanders in the 8-10 minutes it takes, on average, for first responders to arrive on scene at a medical emergency. The training program, called the Medical Tactical Certificate Program, or Med Tac for short, teaches individuals how to recognize and reduce harm from the most common preventable health hazards to children and adults. Here are the top eight preventable health hazards and how the training program addresses them. Sudden Cardiac Arrest (SCA): In the United States, more than two lives can be saved every hour with bystander care, and one-quarter of the children who experience an SCA do so on the playing field. The survival rate without bystander care falls rapidly to less than 10 percent. So, for SCA, students learn “hands only” CPR, how to use an automatic external defibrillator (AED) and how to make an effective 911 call. To fulfill the requirements to receive our certificate of completion, the participants must earn or provide documentation of successful completion of CPR/AED training such as the Heartsaver AED/CPR certificate offered by the American Heart Association or the equivalent from the American Red Cross. Med Tac trainers must maintain instructor status with these organizations. They can either provide the CPR/AED training themselves or enlist a local qualified instructor to deliver the course curriculum. For certain classes, with students “hands only” CPR training is offered. 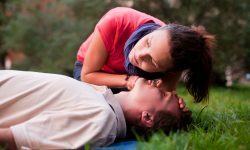 For our more comprehensive courses, such as the Heartsaver, CPR/AED courses are implemented. 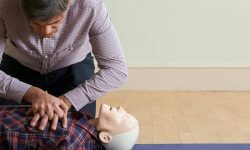 Choking and Drowning: For choking, Med Tac students practice the lifesaving Heimlich Maneuver, which saves on average 13 lives per day in the United States. For drowning victims, they learn how to integrate water-related rescue practices, how to perform CPR, and how to work with lifeguards and first responders by providing supportive bystander care. These skills, on average, save more than eight lives every day in our country. Opioid Overdose: When the CDC announced the explosive growth of opioid-related deaths in 2017 to almost 200 a day, it reinforced our priority of this hazard. For opioids and poisons, students learn about prevention approaches and opioid-reversal agents. We deliver age-appropriate content. For young students, we cover opioids at a high level. For older youth and college students, we provide much more detailed content including the recent threats of fentanyl and carfentanil, and we describe the potency of these compounds as well as the risk of inhalation and dermal absorption. We also cover the use and mechanism of action of naloxone, the opioid-reversal agent, in detail. Armed with this knowledge and these skills, more than five Americans can be saved every single hour. Anaphylaxis: For life-threatening allergies and anaphylaxis, students learn about using epinephrine auto-injectors such as EPI Pens. We address the issues regarding the need for more than one dose and why students need to keep epinephrine auto-injectors with them during drills, sports and offsite field trips. A surprising number of students at risk are very cavalier about letting others know of their risk and frequently forget to keep their epinephrine auto-injectors with them. Major Trauma and Bleeding: Every hour in the United States a life can be saved by properly treating severe bleeding. For major trauma, as with all the high impact health hazards, students learn scene safety, especially in light of more frequent active shooter events. We teach the entire Stop-the-Bleed curriculum sponsored by the American College of Surgeons. Students learn how to use pressure, pressure bandages, wound packing and tourniquets to address severe bleeding. Immersive simulation exercises are undertaken throughout the course to simulate time-critical, stressful and challenging situations in order to build “mental muscle memory” that students can fall back on during real events. Common Accidents: For certain common home and campus accidents, they learn scene safety and how to prevent injuries and infections. Non-traffic Related Vehicular Accidents: The frequency of drive-over accidents on U.S. school campuses prompted us to learn about how to prevent non-traffic drive-over accidents and teach bystander care at the scene. There are more than 100 non-traffic related drive-over accidents every week in our country. Almost all of them can be prevented. Bullying and Workplace Violence: Students will learn the importance of preventing and mitigating bullying and how it can lead to harm and even death. We take an age-appropriate and audience-appropriate approach to addressing “Bullycide,” cyberbullying, and abuse of power by peers and staff. For every suicide, there are 25 attempts. All incidents can benefit from bystander care. For more information about Med Tac, visit med-tac.org or email info@med-tac.org. What Is Bystander Care and Why Is It So Important?